Jen Hsien (Ren Xian), Xing Tai, He Bei, China. 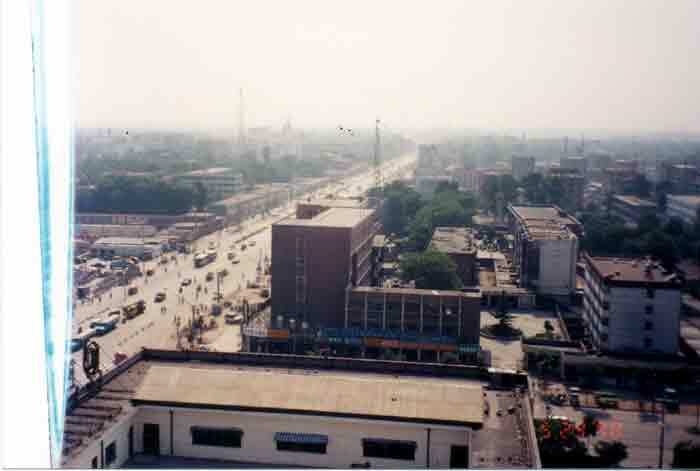 The building in the background is the town's official Wushu Office. If you are like me, you may have only a general idea about the geography of China, and an even dimmer understanding of where some of the major players in the Taiji world came from. So . . . here are a few maps to help you get your bearings. 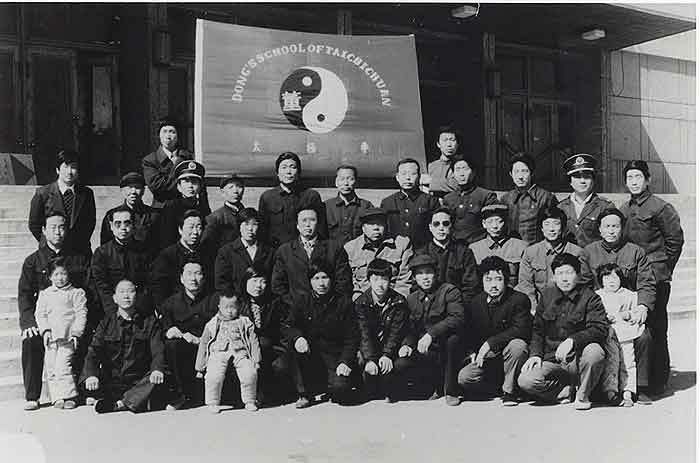 In our lineage of Taijiquan are three prominent families who lived relatively close to each other: The Li family (Li Hsiang Yuan), the Yang family (Yang Cheng Fu), and the Tung (Dong) family (Tung Ying Chieh). One of my hopes in presenting these maps to you is to give you some reference material in case you ever go to China and want to travel to these places which are prominent in our lineage's history. 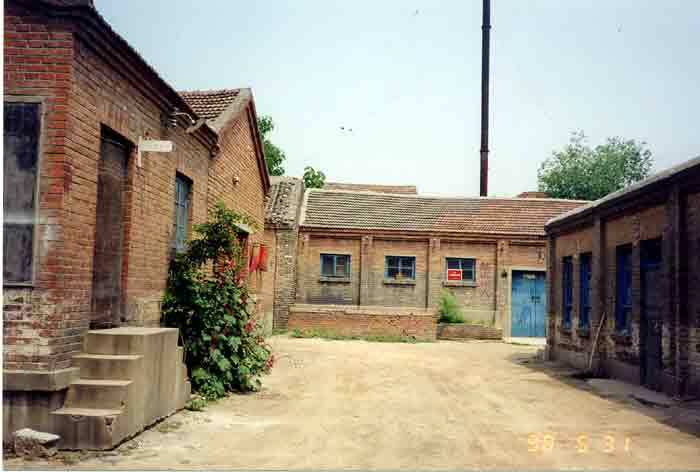 All three families lived in the Southern part of Hebei Province, which lies around and to the Southwest of Beijing and to the west of Shandong Province. 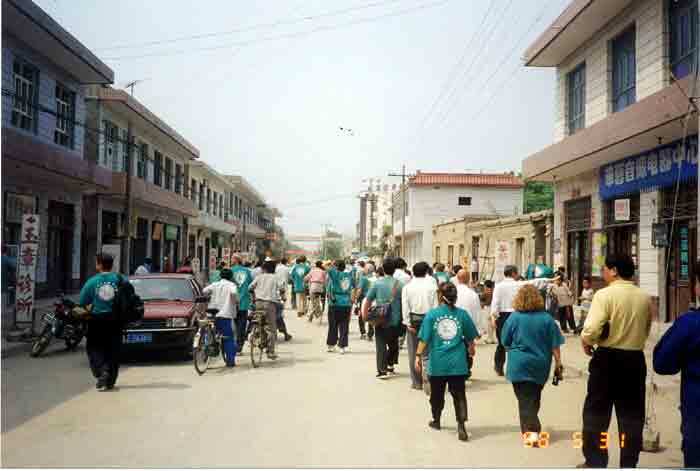 The Li and Dong families lived close to the relatively large city of Hsing Tai (Xing Tai). Li lived to the Northwest in Hui ning and Tung lived to the Northeast in Jen hsien (Ren Xian). The Yang family lived in Lin ming kuan which was close to the relatively large cities of Han Tan and Yung Nien and South of Hsing Tai.. The detailed Chinese language maps I have on this site were copied from maps in Hamilton Library at the University of Hawaii at Manoa. One Saturday afternoon Dong Zeng Chen and I went to the library, where he was kind enough to walk me through the Chinese maps and help me annotate them. First, the big picture. Here is China. 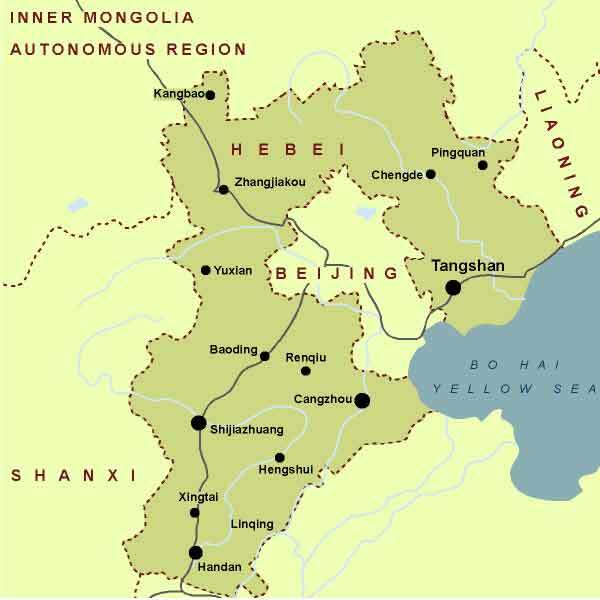 Note the location of Hebei Province. 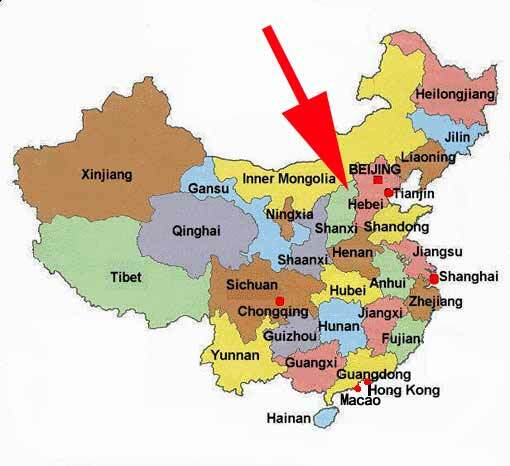 And here is the area around Beijing, including Hebei and Shandong Provinces. 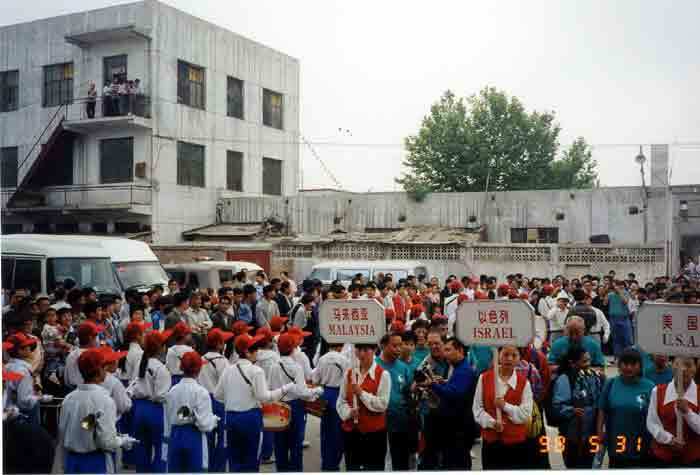 (Shandong in the unnamed province to the Southeast of Hebei.) Note the Xingtai and Handan city area in the South, that is where the Dong, Li and Yang families are from. 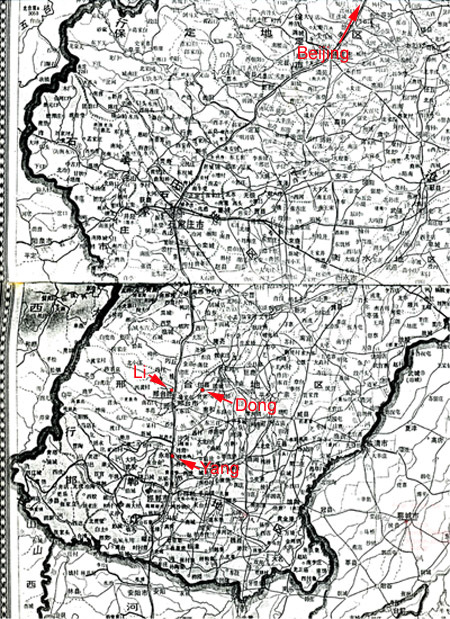 Next is a more detailed Chinese language map of Hebei Province with annotations giving the approximate locations of the family homes for the Li, Yang and Dong families in the Southern part of the province. 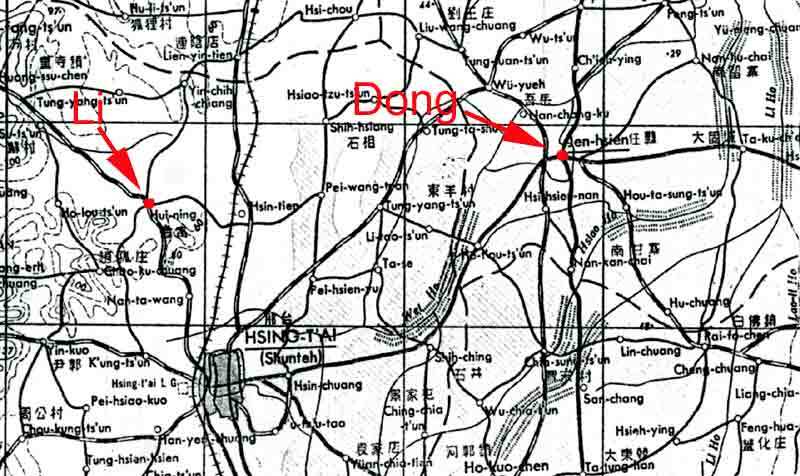 Below is a closer detail of the area around Hsing T'ai (Xing Tai) showing the locations of the Li and Dong families at Hui ning and Jen hsien (Ren Xian), respectively. 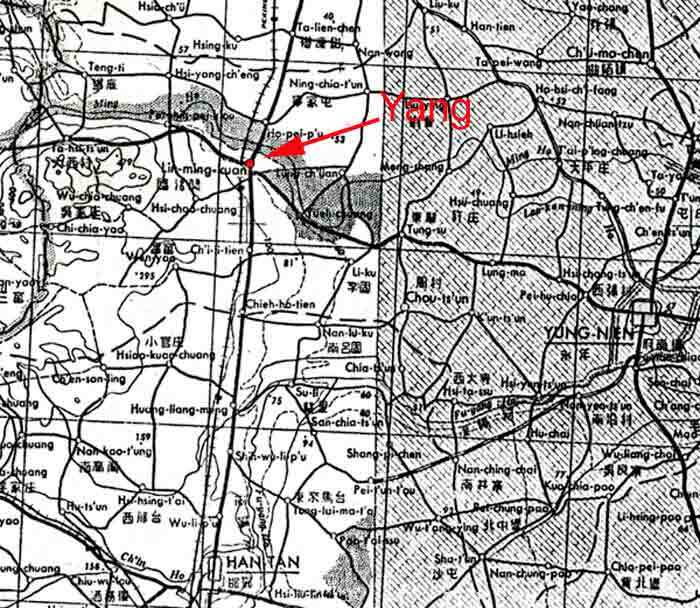 And finally, here is a closer detail of the area around Han Tan (Handan) and Yung Nien showing the location of the Yang family at Lin ming kuan.